LEARN new ways to make the best case for the arts to decision-makers. NETWORK with other attendees from your state and across the country. BE HEARD by your members of Congress when you visit them to make the case for the arts and arts education. Visit the Americans for the Arts website for more information. Want to go, but not sure you can participate? Here are some helpful tips. As always, feel free to reach out to us directly with any questions at artpride@artpridenj.com or (609) 479-3377 ext. 305. I can’t attend both days. Which one should I choose? Tuesday. While we recommend attending both days to participate in Americans for the Arts’ advocate training and Nancy Hanks Lecture on Monday, April 16, we have had attendees arrive in Washington on Monday evening or Tuesday morning to participate in Tuesday’s legislative visits. Are there ways to save money on the trip? Yes. Register by March 30 for the early registration rate. Additionally, you can save on housing by sharing a hotel room or staying with a friend in the area. We also recommend carpooling and public transportation. Round-trip tickets from Newark, Philadelphia and New York can be as low as $30 through some of the major bus companies like Bolt Bus and Megabus. Am I allowed to advocate? Absolutely. Organizations that receive NJSCA or NEA funding are allowed to spend up to 25% of their budget on advocacy. Additionally, even if you are not the spokesperson for your organization, we encourage you to attend as a private citizen. This is a great opportunity for students and emerging arts leaders to take on a leadership role and learn more about this important aspect of the nonprofit arts field. How Do You Advocate for the Arts…In 2 Minutes? You believe in the power of the arts and the importance of arts education. You want your voice to be heard, but how do you reach lawmakers? Join us for National Arts Advocacy Day on April 4-5 hosted by Americans for the Arts and participate in advocacy workshops like “The ABCs of Meeting with Legislators,” “Advanced Federal Arts Policy Training” and “Facts and Figures to Make Your Case.” Learn about current policy issues, practice making your points with role playing demonstrations, and put your advocacy knowledge to good use meeting with your legislators on Capitol Hill. Advance registration ends on March 21, so be sure to secure your spot as soon as possible! To register or for more information, please email madelineorton@artpridenj.com or visit the Arts Advocacy Day registration page. Please email us as well to let us know that you will be a part of the New Jersey delegation. Join the New Jersey delegation as we advocate for the arts! National Arts Advocacy Day is Two Months Away! 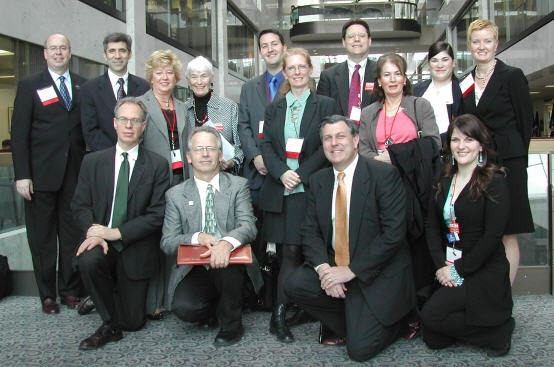 Join the New Jersey delegation for National Arts Advocacy Day 2011! Hosted by Americans for the Arts in Washington D.C., the 24th annual Arts Advocacy Day is the only national event that brings together a broad cross section of America’s cultural and civic organizations, along with hundreds of grassroots advocates from across the country, to underscore the importance of developing strong public policies and appropriating increased public funding for the arts. Don’t forget to register for this year’s Nancy Hanks Lecture on Arts and Public Policy to be given by Academy Award winning actor and Artistic Director of the Old Vic Theatre Kevin Spacey! Arts Advocacy Day is April 4-5 and advance registration ends on March 21, so be sure to secure your spot as soon as possible! To register or for more information, please email madelineorton@artpridenj.com or visit the Arts Advocacy Day registration page. Please email as well to inform us that you will be a part of this year’s New Jersey delegation. Many many thanks to the New Jersey arts activists who joined over 500 others on Capitol Hill to advocate for increased federal funding for the arts on April 1. So many of us benefit from NEA funding and do not even realize it! Thanks go to David Gray of the New Brunswick Cultural Center, John Devol of Arts Horizons, Shayne Miller of Paper Mill Playhouse, Kristen Gongora of Shakespeare Theatre of NJ, Rodney Gilbert of Yendor Productions, Diana Scotland of Montclair who volunteers for Kenkeleba Gallery in NY, Jana LaSorte and Ondine Landa Abramson of South Jersey Performing Arts Center, and Julianne Zervopoulos of Westminster Choir College/Rider University. Kerry Washington spoke eloquently at the Congressional Arts Breakfast. This youtube video doesn’t even capture her best moments when she talks about how it is a privilege to live in a country where you can be part of the democratic process by telling your elected officials about what is important to you. Join us next year!!! I’ll share some other photos from out visits and a group shot in a later post! 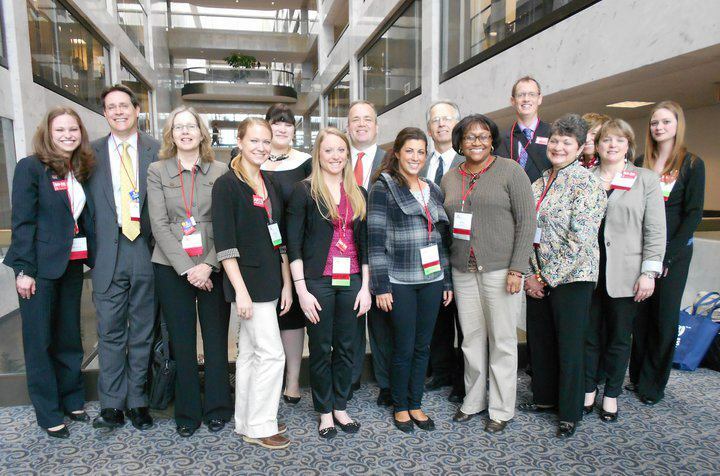 There were 19 of us in Washington DC for National Arts Advocacy Day on March 12-13. We spent Monday learning about the issues–from funding for the National Endowment on the Arts to tax law affecting artists and charitable contributions, to the reauthorization of NCLB or ESEA (No Child Left Behind aka the Elementary & Secondary Education Act). Monday night we heard Robert MacNeil deliver an extraordinary lecture at the Kennedy Center speaking of the role of art in our society and how if we stand back and look at the the “big picture,” artistic expression and freedom of such relates to fundamentalism abroad and in our own country. Heady stuff! Tuesday we walked the halls of the US Congress, many for the first time! We saw 4 congressmen in person–Rep. Rush Holt, Rep. Donald Payne, Rep. Frank LoBiondo, and Rep. Albio Sires, and a host of legislative aides. We used the briefing from Monday to inform our discussions and also found time to talk about how the arts affect many different aspects of life–from healthcare to truancy rates to the revitalization of cities and towns throughout New Jersey. It’s a rush–lots of information packed into 2 days, an inspiring lecture, the chance to network with other New Jerseyans you don’t often see. In our group was the President of the NJ PTA and his wife who were glad to talk up the arts because their children are all musically inclined. Speaking of musically inclined, we also had a shining young vocalist with us from Westminster Choir College/Rider University who represented the arts advocates of tomorrow! Here’s the group from left to right standing–Bob Morrison of Music for All, Inc., Greg Perry of the Jane Voorhees Zimmerli Art Museum, Carol Herbert–Chair of the NJ State Council on the Arts, Berda Rittenhouse of ArtPride, Shayne Miller of Paper Mill Playhouse, Catharine Vaucher of the Arts Council of the Morris Area, David Gray of New Brunswick Cultural Center, Paula Long of the Union County Division of Cultural & Heritage Affairs, Kristen Gongora of Shakespeare Theatre of NJ, and Kristin Wenger of the NJ Arts Education Partnership. Kneeling from left to right are Patterson Sims of the Montclair Art Museum, Alan Willoughby of Perkins Center for the Arts, Larry Schmidt of the South Jersey Cultural Alliance, and Natalie Megules of Westminster Choir Collge. Not pictured are Vicki Snoy of Newark Boys Chorus School, Harry and Donna Capers of the NJ PTA and me–the photographer–Ann Marie Miller. 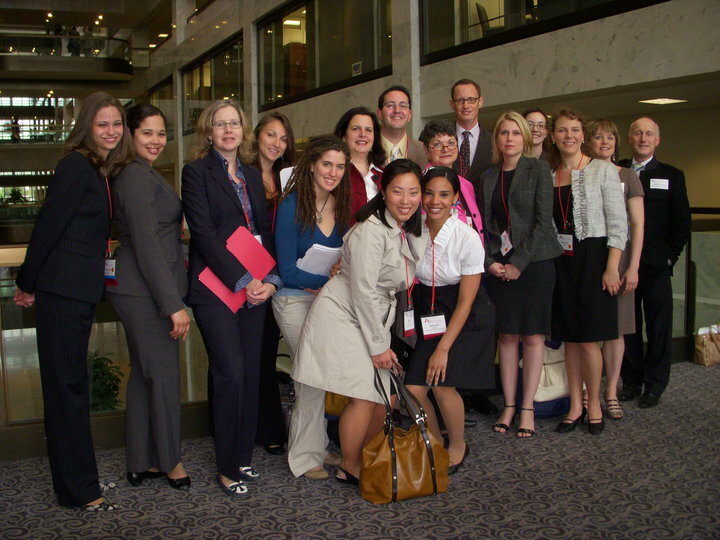 The photo was taken outside of Senator Lautenberg’s office in the Hart Senate Office Building. Now for Something Totally Different! Don’t forget to sign up for NJ Arts Action Day on February 15 (at the ArtPride web site www.artpridenj.com) and for National Arts Advocacy Day on March 12 & 13 in Washington, DC!